The sea is home to millions and millions of animal species. Good news is, now some of these sea animals can be reared within the comfort of the home, as pets. With a well stocked tank, the aquarium can be an ideal home for the Snowflake eel. 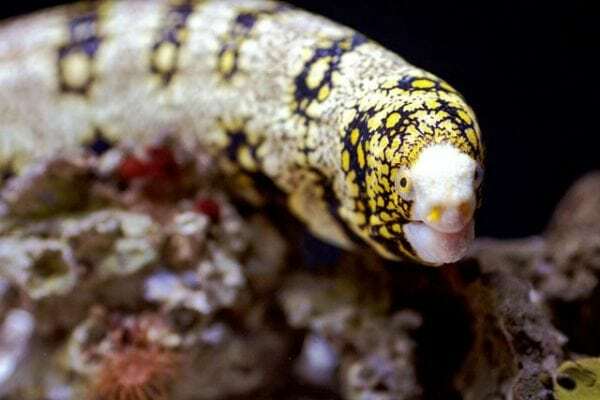 A colorful tank pet that can grow up to 30cm in length, this sea animal is known by a variety of names including snowflake moray, floral eel, zebra moray eel among other names. It is a real cute tank pet if well cared for. The snowflake eel is native to the Indo-Pacific Ocean reefs. It inhabits the tropical waters of Africa and the Red Sea. It can also be found in the American West Coast. In the wild, it is known to live in rock crevices and caves. Countries where it can be found include Hawaii, Australia and the East Indies. The eel is adaptive to most environments. 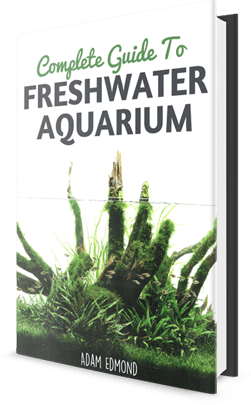 It is largely disease resistant and can live comfortably in an aquarium with the right tank conditions. If well fed, it can grow quite tremendously within a very short time. For this reason, it is often advisable to acquire a big tank once to avoid the inconvenience of having to look for a sizeable one each time it outgrows its current one. 75 gallon tank (approximately 300litres) can house an eel throughout its lifetime and therefore recommended. Sizeable rocks with crevices to offer an ideal hiding place. Remember it loves to move incognito, making it absolutely necessary to create several caves for this venture. The rocks should be sturdily placed into the aquarium to avoid them getting dislodged. The eel is strong and may easily interfere with weak rock structures. Water temperature to be maintained at between 70 and 80F, (22 and 27C). Water hardness should be between 8 and 12dGH. A pH of 8.1 and 8.4 should serve it impeccably well. Salinity of between 1.020 and 1.026. The tank must have a tight aquarium lid or else the eel can crawl out undetected. It is often referred to as an “escape artist,” and with good reason. The tank should have a good filter to keep the water clean as the eel is messy. The snowflake eel is described as a carnivore because of its penchant for flesh. If kept in a tank with small sized fish, it can gobble them up if there is delay in offering its feeds or when it is underfed. It is also a predator that hides in rock crevices to await anything that can make a delicious meal. Choice of tank mates must therefore be done carefully. Add some vitamins in the fleshy meals to help it develop stronger disease resistance. Certain feeds can be dangerous to the eel. These are rosy reds and goldfish. They should not be offered to the pet as they can lead to liver damage. The snowflake eel is an interesting sea animal as it is protogynus. The dominant eel is likely to change from male to female and vice versa. Of course this process may take a long time from many months to a year. Differentiating the sexes is not easy, same to breeding them in captivity. They are considered egg scatterers. Their eggs are produced in the middle of the water during those rare ritual-mating incidences. These eggs drift in the water before settling onto the reef to hatch. After a few days, the fry begin to swim in the water. Of course this happens in the wild. So far, not much is known about breeding them in captivity. Snowflake eels are predators that hunt most types of sea animals including small fish and shrimps. Keep them with bigger fish like the wrasses, tangs, trigger fish and lionfish. Considered less aggressive, they can be housed with other eels provided they are introduced into the tank at the same time. This is important as like most other types of animals, they tend to be territorial. Avoid placing smaller animals like crabs, lobsters, shrimps and other groups of crustaceans. The eel thrives best on a crustacean diet and will gobble them all up. However, they can be housed together with sea anemones, starfish and sea urchins. They are also known to be friendly to corals and will rarely interfere with it. It has poor eyesight even though its eye looks quite sharp. It becomes relatively aggressive during feeding times. If feeding it from the hands, one must be very careful as it has a very painful bite. If a hobbyist occasionally feeds it from the hand, it gets accustomed to this. With time, it begins to associate the hand with food. This can lead to injuries as it may hurt the hand when cleaning the tank, thinking it is being denied food. For the first few weeks after introduction to the aquarium, it is likely to be very shy. During this time, it will hide a lot. Caves and rock crevices will help tremendously during this time. As it gets accustomed to its new surrounding, it begins to get out of hiding more. Avoid over-feeding the eel as this could hurt its system. There are times when it can stay for days without eating. If it is healthy and shows no sign of poor health, it should not be a call for alarm. The snowflake eel is a very unique pet with outstanding features that makes it a great aquarium addition.